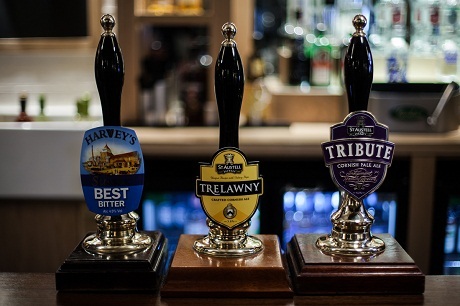 A local historic pub, fully refurbished to provide a quality ‘Traditional Sussex Pub and Restaurant’ experience. The refurbishment project was comprehensive, with all the works carefully planned to improve and enhance this beautiful 16th Century building, without losing any of it’s authentic heritage appeal. Our design team have worked hard to ensure the refurbishment retains our Jacobean beamed interior, wonderful open fireplaces, and traditional Old English feel. It is our aim to provide the best in hospitality, products and service as befits a quality traditional Sussex country pub and we hope you enjoy your stay with us. All of our meals are freshly prepared to order. 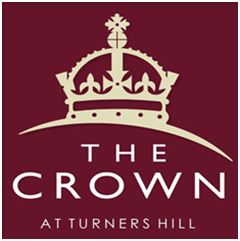 The Crown At Turners Hill is proud of it’s extensive menu of traditional English dishes, with the emphasis on home cooked, fresh quality local produce. The Crown is a frequent entry in CAMRA’S Good Beer Guide. We stock an ever changing choice of local and regional ales, accompanied by a range of Lagers and Ciders. Our choice of local and regional ales is reinforced by our three Beer festivals: Spring, Summer and Autumn ( The Big One!). 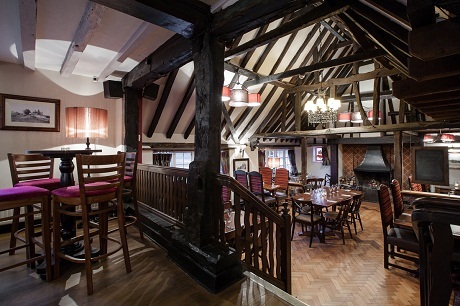 During the winter months, open log fires in both the Bar and the Restaurant add to the warm ambiance of the Crown. 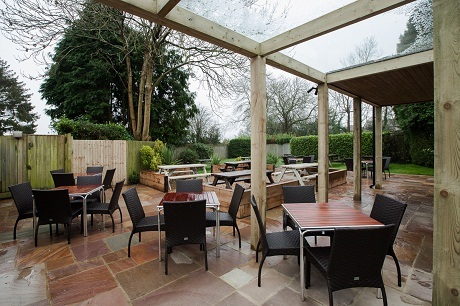 As well as a warm and welcoming Pub & Restaurant, there is an enclosed Garden to the rear (child safe) with ample seating to enjoy the warm weather and village atmosphere, a Patio area to the front, ideal to watch the world go past. We open Monday to Saturday at 11.00am and Sunday at 12:00 noon.